The BBC has uncovered the fact that a large number of potentially unsafe Vauxhall Zafira cars made between 2005 and 2014 may have been sold to the public illegally. Radio 4's You & Yours consumer programme has found that some car dealerships could be avoiding carrying out recall work and have sold the unsafe cars to consumers despite fears that the vehicles could burst into flames. 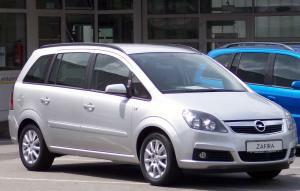 Some 234,000 Zafira cars have been recalled due to a fire risk. They are all supposed to be returned to garages, where repairs can be carried out to make them safe for resale or use by existing owners. However, some drivers have reported buying Zafiras without knowledge of the recall only to see their cars go up in flames. Dealerships obviously have a responsibility of care to their customers and taking out adequate motor trade insurance is an essential part of good customer service. Speaking to the BBC, one upset customer whose car had caught fire shortly after she had purchased it, explained: "The dealer told us nothing; the firemen told us the car was up for a recall. I would have never put my children in that car had I known." Dealers selling recalled cars without carrying out essential repairs could be breaking the law. The Driver and Vehicle Standards Agency makes it very clear that recall repairs need to be carried out before cars are sold. There are also guidelines and laws detailed in various other pieces of legislation, such as the Sale of Goods Act, Consumer Protection From Unfair Trading Regulations and the Road Traffic Act that could land dealers in hot water if they sell unsafe cars to the public.